Halo TV show is NOT cancelled! I found this post via a RT on Twitter from Ducain23. A NEoGaf. 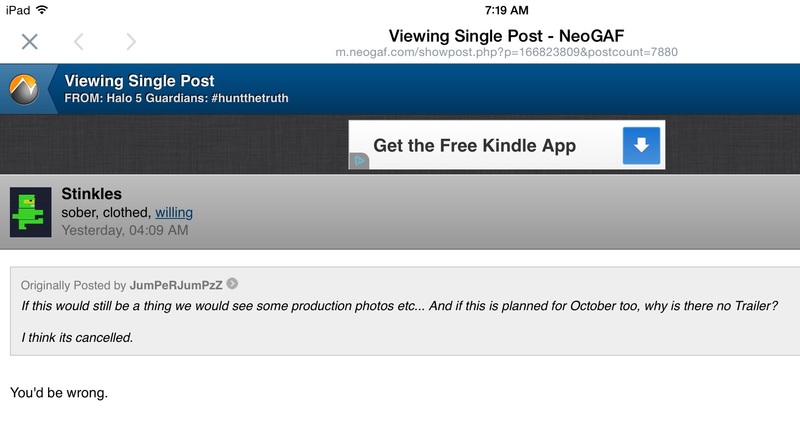 Forum member makes a comment saying they think the Halo TV show by Speilberg has been cancelled. Okay, so it’s not much, but it’s also not nothing! So with this in mind, I 100% expect to see something of this from E3 next week!!! Yes!!! This is great news! I can’t wait until E3!